I’ve come to love my Honda Element more than any previous car I’ve owned. The fact that I can pull out the back seats and use it to haul all sorts of things is awesome, but sometimes things still don’t fit, and need to go on the roof. 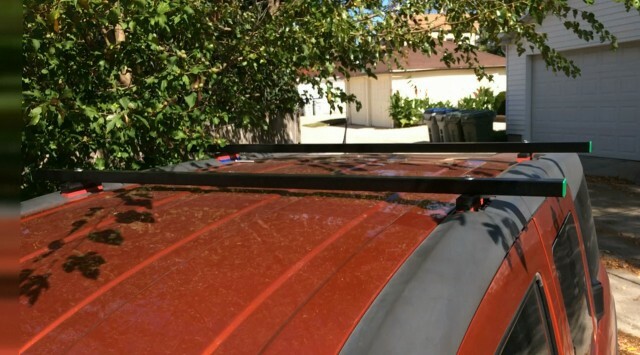 The one advantage my Honda CR-V had was a roof rack, but luckily the Element was designed with a roof rack option in mind, and a DIY version is pretty simple. I turned to 3D printing. 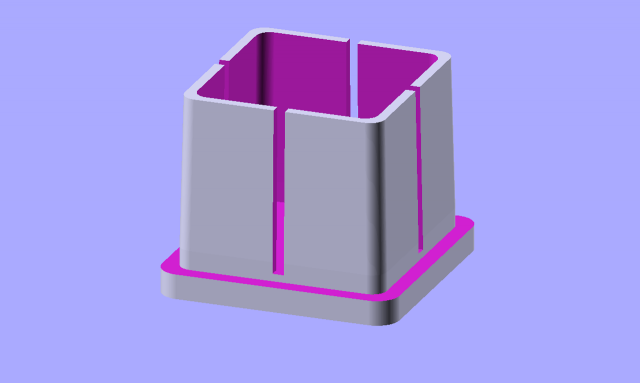 I took the SVG file and exported it to a DXF that I could pull into OpenSCAD and extruded into a 2.5D shape. 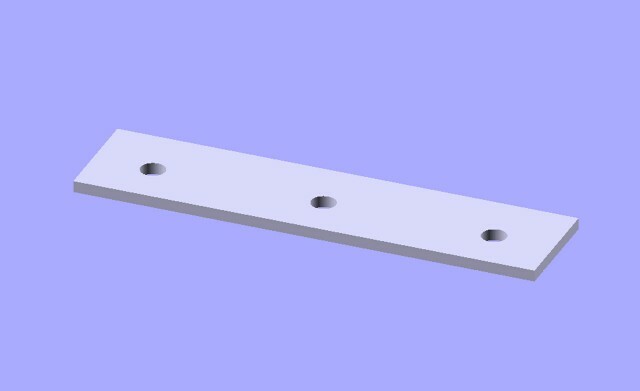 From there I printed a nice (solid) template that I could use to drill the holes for the pieces that would hold up the rack. 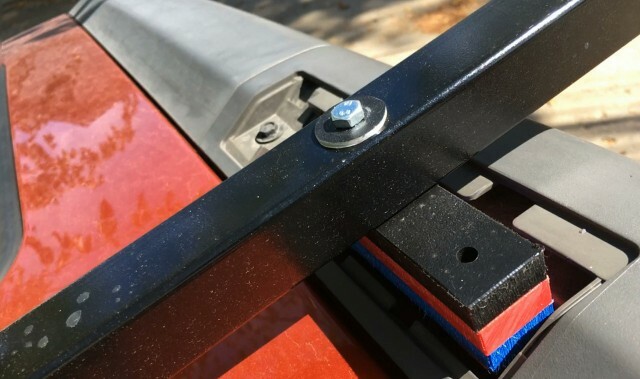 The parts that hold up the rack are some scrap pieces of HDPE plastic, which is very solid and resistant to wear from the elements. The template worked great (with a drill press) for making the needed holes. There’s a 6mm bolt that holds everything in place. 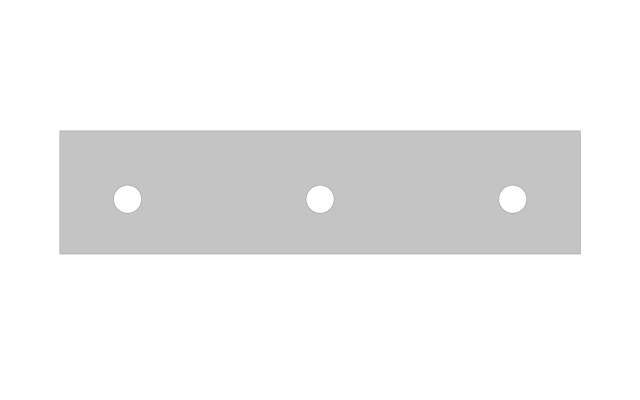 Yeah, I ended up just using one bolt instead of three on each piece, so in the end the template didn’t matter as much. The rack itself was just some square steel tube I got from Speedy Metals. 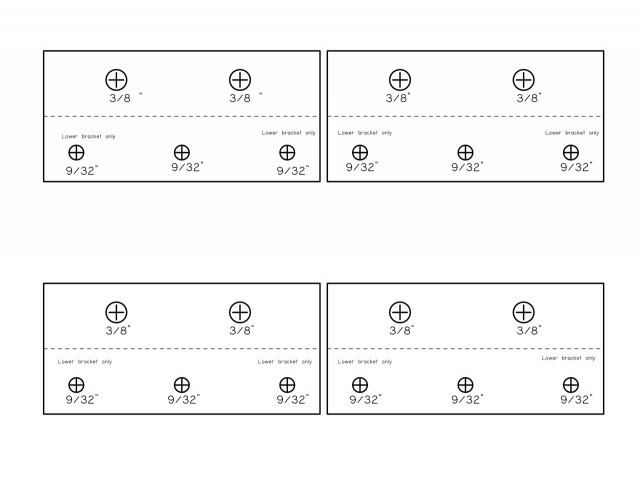 It’s 1-1/4″ SQ x 1.084″ ID x .083″ Wall, BTW. (I ended up painting the tube black with an enamel paint, which was supposed to stand up to the elements but has done a terrible job and the metal has rusted quite a bit since these photos were taken.) I’ve been told grill paint or marine paint might work better. At this point I’d need to pull everything apart and sand off the rust if I want to make things look better. (Which means I probably won’t.) 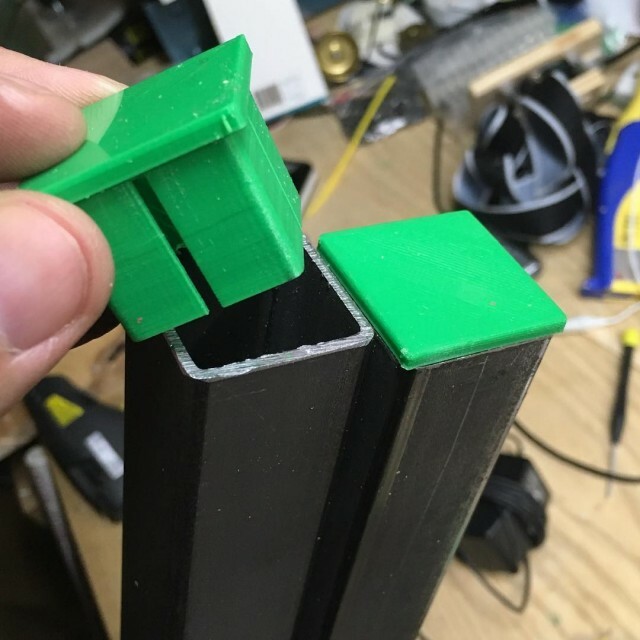 The other nice thing about getting the square tube from Speed Metals was that I was able to just have them cut them to length, so I didn’t need to cut the metal precisely. Amazingly enough, they are printed in PLA and have held up quite well through one winter and one summer. They didn’t melt in the summer or get destroyed by the cold and wetness of winter. They are not held in place as securely as I’d like, and are easy to remove, but they’ve stayed in place without falling out for over a year now. I should really print some replacements in another color… though it does make it easy to spot my car when other orange Elements are nearby. So how does it work? 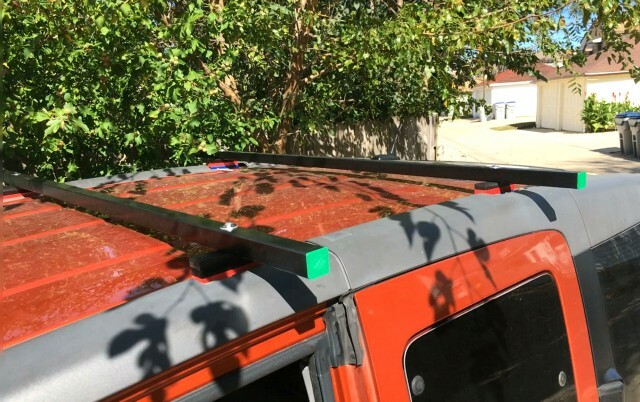 Well, it’s a roof rack, and it works fine. If anything, I’d consider raising it a bit higher, and to be honest, I think I use it a lot more frequently when I need to tie down the back window when hauling things that stick out the back, which is good enough for me. 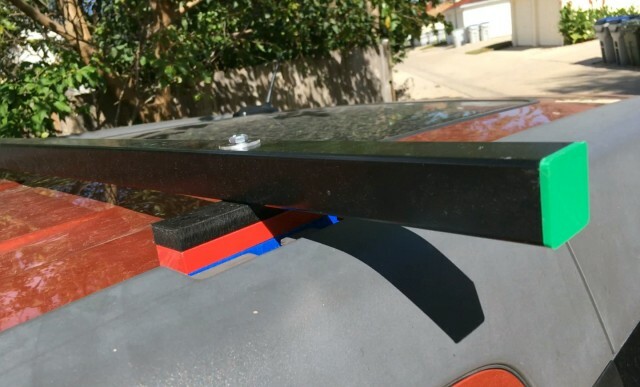 In total the cost with the square tube, hardware, and paint, was probably around $30, which is a lot cheaper than a roof rack purchased.